The state should see less than half of the 53,000 vehicles it saw on July 4th of last year, according to the Center for Tourism Research. Traffic won’t be snarled on the Fourth of July due to the Wednesday timing of the holiday. About 21,300 vehicles will be entering Maine Turnpike’s York toll plaza on Wednesday, which is less than half of the volume of 53,086 vehicles seen on last year’s July 4th, when the holiday fell on a Monday, according to the Center for Tourism Research and Outreach, an initiative of the University of Maine System. “The placement of the 4th during the week really does make a big difference” said Charles Colgan, professor of public policy and management at the Muskie School of Public Service at the University of Southern Maine. For the period from July 4 through July 9, the center forecasts 349,300 cars at York, with 175,300 coming into the state. Overall, traffic will be about 6 percent below the same period in 2007, which was the last time July 4th fell on a Wednesday. 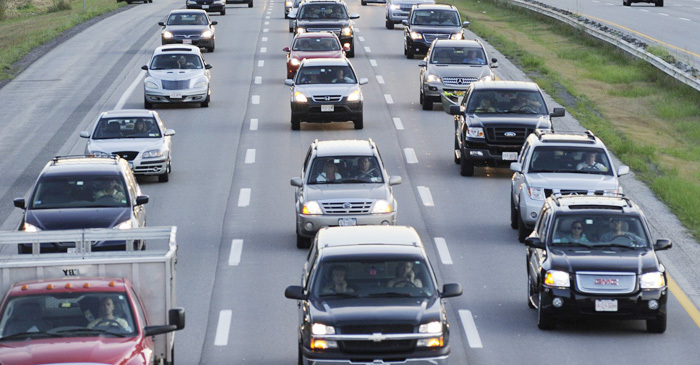 Over the past month, overall traffic at York has been up about 3.8 percent, the center said. That suggests that lower gas prices and the economy are encouraging some growth in visitors, the center said.